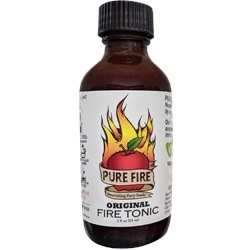 PURE FIRE™ Fire Tonic has 20+ Organic, GMO-FREE, Vegan Friendly, and Gluten Free ingredients that give your immune system the support it needs. 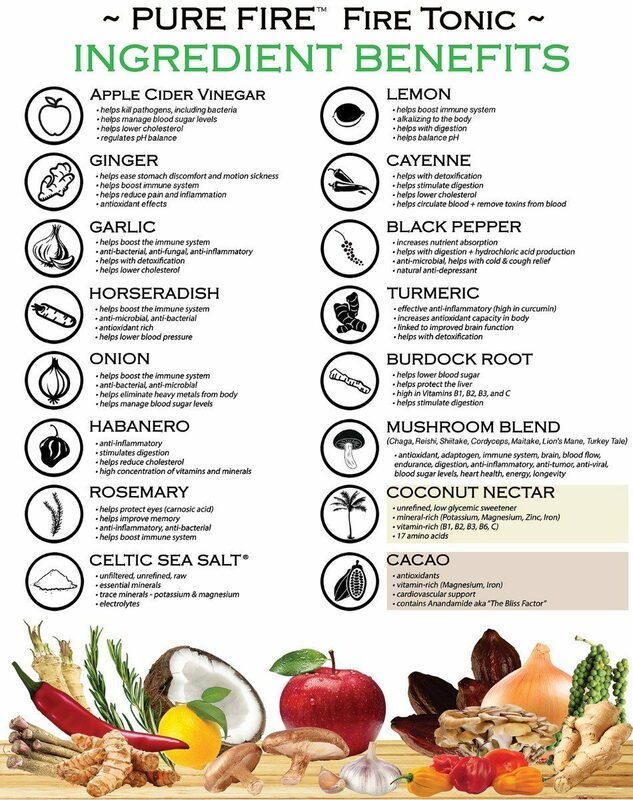 The power of raw organic apple cider vinegar + organic vegetables, herbs and spices + 7 organic mushroom extracts makes this a powerful tonic. Spicy and delicious, enjoy our Fire Tonic by itself or add to your favorite recipes. Available in Original, Nectar and Chocolate varieties.